Wild Animal Sports Day is an Action, Casual and Sports game for PC published by Marjupi Games in 2018. Compete with all the animals for the winners title! Compete as all the animals for the title of Wild Animal Champion of Champions in eight challenges. Compelete and win all the challenges to get the ultimate prize. All your favourite Wild Animals are competing for the title of Wild Animal Champion of Champions! Eight challenges: Tennis, Hurdles, Darts, Diving, Skiing, Pole-Vault, Trampolining and for the first time in a game Rhythmic Gymnastics! Test your skill, reflexes and memory! If you can complete them all to the required level you can win the ultimate prize. Ginger the Giraffe, Hugo the Hippo, Zirconda the Zebra, Linda the Lioness, Ronaldo the Rhino and Egbert the Elephant compete for the title of Ultimate Champion. The winner will rule over the animal kingdom. Now, of course, this is no ordinary sports competition! This is a Wild Sports competition! Expect sharks in the swimming pool…porcupines on the race track… and watch out for King Croc! The King Croc does not want to be dethroned and is doing his best to stop the new challengers. 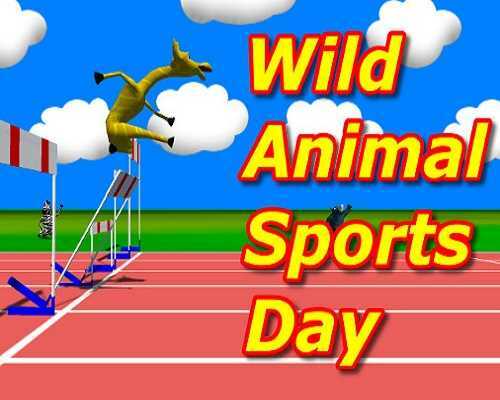 Bird brings back everyone’s favorite six wild animals for a day of sports in the aptly named Wild Animal Sports Day. In the game’s Challenge Mode the player’s skills and left-hand carpals are put to the test in eight fast-paced games thrown back-to-back with virtually no instuctions or warnings. Quick thinking is rewarded in Challenge Mode’s first run-through, and practice using the Training Mode feature helps players accumulate enough wins to unlock some never before seen Wild Animal movies, which like in Racing, are worth the price of the game itself. 1 Comments ON " Wild Animal Sports Day Free Download "